Buy one car, get one free. Desperate times call for desperate measures. Or so it seems for the automobile industry. “Buy One Get One Free” offers, whose natural habitat is on the shelves of supermarkets, are beginning to appear in car dealerships. The automobile industry has seen a massive drop in demand for new cars; some say the lowest seen for the last 15 years. 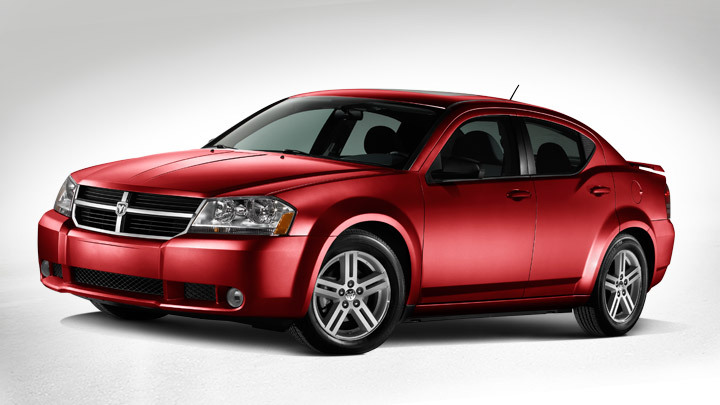 A Dodge Avenger SXT (pictured above) priced at £20,000, now comes with another one absolutely free. This deal can be found at prices comparison sites like www.broadspeed.com . Dodge’s parent company, Chrysler, is one of the three big automotive companies of America, the other two being Ford and General Motors, which have been hit by the credit crunch. Sales of cars are falling drastically because people are finding it difficult to obtain credit to buy cars. Hence, manufacturers are seeing the stock of their cars pile up and are adopting any means possible to shift the stock. Chrysler and GM have been in talks recently to merge that is likely to see around 75,000 people losing their jobs. Ford is also trying to sort out its financial position. It is said to be losing around $1bn per month. Earlier this year, it sold Jaguar and Land Rover to the Indian automobile company Tata Motors and also sold Aston Martin. It is also said to be in talks with BMW to sell Volvo and is also looking to sell its stake in the Japanese motor firm Mazda.